PHUKET: In the bustling Banzaan Market in Patong, on Pang Muang Sai Gor Road behind Jungceylon, lies a very popular rice vermicelli noodle shop. n the Khanom Jeen Phang Nga noodle shop for four years, selling her original rice flour noodles from Phang Nga province. “The shop began because of my love for these noodles,” she says. 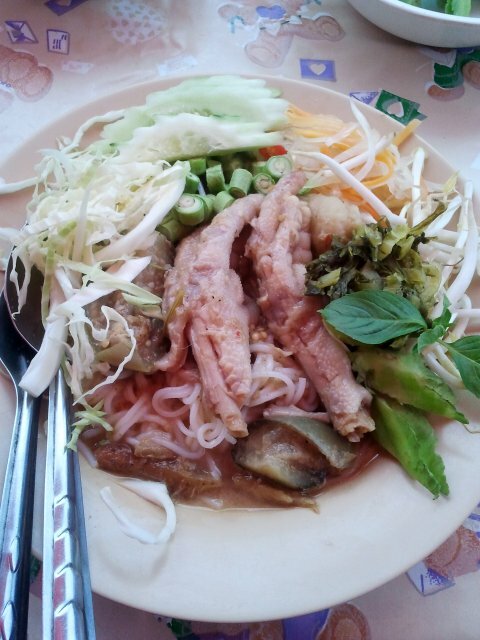 Ms Waranya serves several different types of khanom jeen, but the most basic dish – the noodles plus a soup – is B30. The food is all made daily using fresh vegetables. Khanom jeen noodles are a popular Thai staple often served with curry or other dishes, instead of rice. 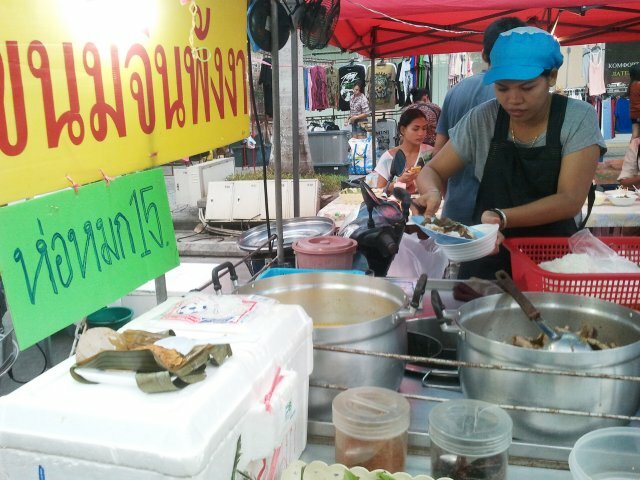 She says that foreigners like to order her gaeng kiao wan gai (green curry with chicken), but her customers are mainly locals and officials – including policemen. The shop is open every day from 5.30pm to 11pm, so if you’re around Patong and after a cheap meal, go for a visit.